All of our publications are available exclusively in the NRTG' s APP, downloadable in Google Play and the App Store. The city of the Tower of Hercules (La Coruña, A Coruña, or simply Coruña, as the locals call it) has a distinctive geography and history that make it unique in all of Spain. Roman port at its birth, ancient stronghold of the Spanish Empire and one of the most important colonial ports, Coruña is reconstructed in virtually its entire trajectory throughout history, visualizing its urban evolution and taking you through its most celebrated tourist destinations. In four guided routes, the Coruña travel guide leads you strategically through the city, weaving together history, gastronomy and art. And, since the Atlantic Ocean is virtually an extension of the city itself, as Coruña is three-fourths surrounded by water, this guide provides great depth of information on the beaches and the sporting activities available, giving special focus to scuba diving, surfing and sailing. The Coruña travel guide walks you through the streets that were the artistic cradle of one of the most important painting geniuses of the 20th century, Pablo Ruiz Picasso. This is a city that, for many reasons, profoundly impacted his life. You will get to know in detail what Coruña was like when the painter from Malaga began his studies in the fine arts and presented his first professional exhibition. In his own words, "Coruña was the city where my senses awakened, and this is something that neither time nor distance can erase." 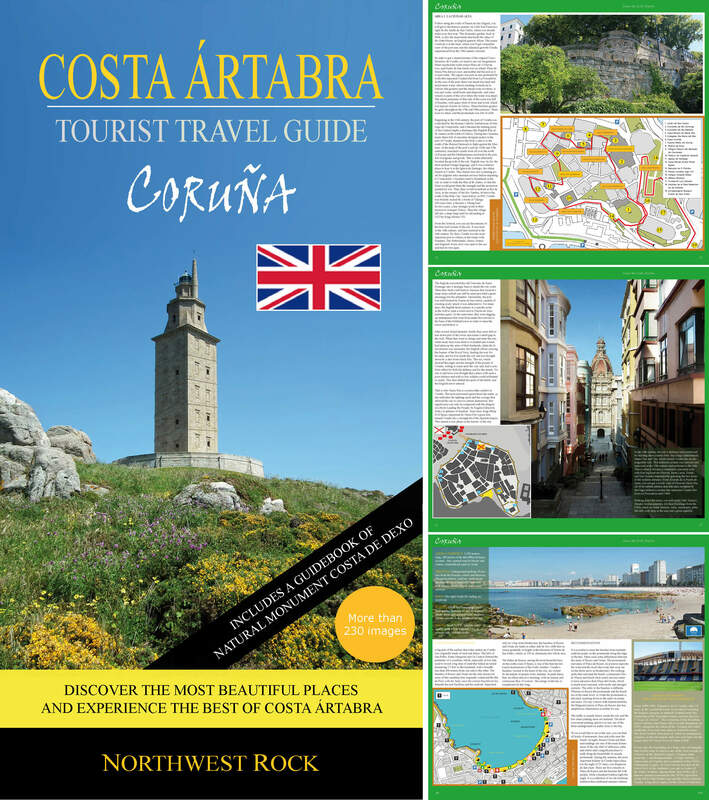 Includes the Guide to the Natural Monument Costa de Dexo.